Vincent Pantaloni pointed out that this year 2/7/18 should be called "e day". He also noticed a nice approximation to e correct to 9 dp. The 38th day of the year; 31415926535897932384626433832795028841 is a prime number. 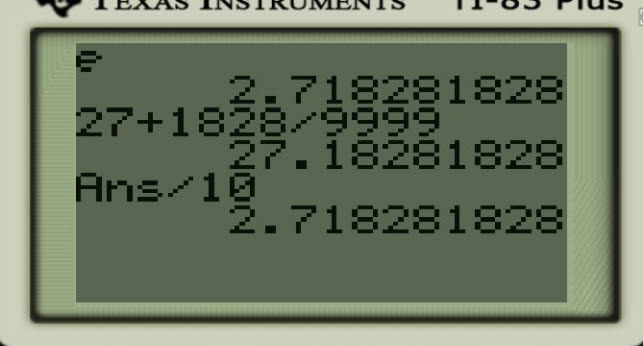 BUT, It’s also the first 38 digits of pi. 38 is the largest even number so that every partition of it into two odd integers must contain a prime. 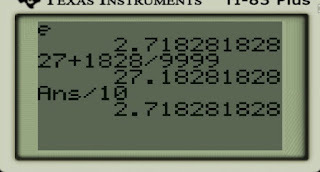 At the beginning of the 21st Century there were 38 known Mersenne Primes. As of this writing, there are 51, the last being discovered in Dec of 2018..
38 is also the magic constant in the only possible magic hexagon which utilizes all the natural integers up to and including 19. It was discovered independently by Ernst von Haselberg in 1887, W. Radcliffe in 1895, and several others. Eventually it was also discovered by Clifford W. Adams, who worked on the problem from 1910 to 1957. He worked on the problem throughout his career as a freight-handler and clerk for the Reading Rail Road by trial and error and after many years arrived at the solution which he transmitted to Martin Gardner in 1963. Gardner sent Adams' magic hexagon to Charles W. Trigg, who by mathematical analysis found that it was unique disregarding rotations and reflections. The history of the board game Monopoly can be traced back to the early 20th century. The earliest known design was by the American Elizabeth Magie created in 1903. 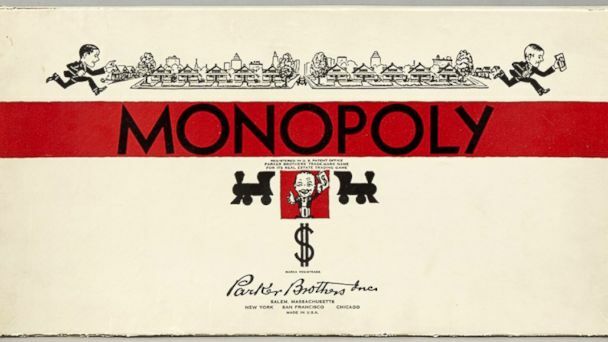 A series of board games was developed from 1906 through the 1930s that involved the buying and selling of land and the development of that land. 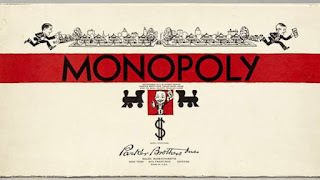 By 1934, a board game had been created much like the version of Monopoly sold by Parker Brothers and its parent companies through the rest of the 20th century, and into the 21st. Several people, mostly in the Midwestern United States and near the East Coast, contributed to the game's design and evolution. 2015 A Mathematician wins an Oscar, FOR MATH. Robert Bridson, an adjunct professor in computer science at the University of British Columbia, was recognized for "early conceptualization of sparse-tiled voxel data structures and their application to modelling and simulation,". 1877 Godfrey Harold "G. H." Hardy FRS (7 February 1877 – 1 December 1947) was an English mathematician, known for his achievements in number theory and mathematical analysis. Starting in 1914, he was the mentor of the Indian mathematician Srinivasa Ramanujan, a relationship that has become celebrated. Hardy almost immediately recognized Ramanujan's extraordinary albeit untutored brilliance, and Hardy and Ramanujan became close collaborators. In an interview by Paul Erdős, when Hardy was asked what his greatest contribution to mathematics was, Hardy unhesitatingly replied that it was the discovery of Ramanujan. He called their collaboration "the one romantic incident in my life." 1905 Lucien Alexandre Charles René de Possel (Feb 7, 1905– ?, 1974) was a French mathematician, one of the founders of the Bourbaki group, and later a pioneer computer scientist, working in particular on optical character recognition. He had the conventional background for a member of Bourbaki: the École Normale Supérieure, agrégation, and then study in Germany. He left Bourbaki at an early stage: there was an obvious personal matter intruding between him and André Weil who had married De Possel's ex-wife Eveline following her divorce from De Possel in 1937. 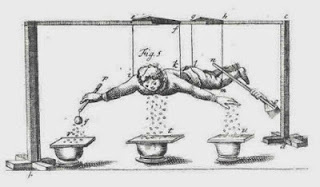 1736 Stephen Gray (December 1666 – 7 February 1736) was an English dyer and amateur astronomer, who was the first to systematically experiment with electrical conduction, rather than simple generation of static charges and investigations of the static phenomena. Gray was born in Canterbury, Kent and after some basic schooling, he was apprenticed to his father (and later his elder brother) in the cloth-dyeing trade. His interests lay with natural science and particularly with astronomy, and he managed to educate himself in these developing disciplines, mainly through wealthy friends in the district who gave him access to their libraries and scientific instruments. Stephen Gray produced a long series of experiments with electricity. In producing charge on a long glass tube, he discovered in 1729 that he could communicate the electrical effect to other objects by direct connection. Using string, he could charge an object over 50 feet from the rubbed tube, but oddly enough some other substances, such as silk thread, would not carry charge. Brass wire would transmit charge even better. These experiments with charged strings and glass tubes revealed the properties of conduction, insulation, and transmission. 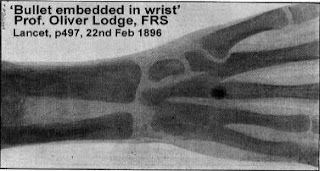 From these experiments came an understanding of the role played by conductors and insulators (names applied by John Desaguliers). 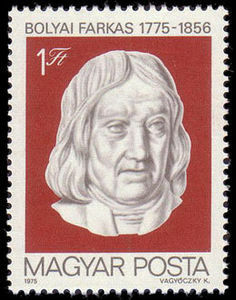 Despite the importance of his discoveries (it can be argued that he was the inventor of electrical communications) he received little credit at the time because of the factional dispute in the Royal Society, and the dominance of Newtonianism (which became the Masonic 'ideology'). By the time his discoveries were publicly recognised, experiments in electricity had moved rapidly on and his past discoveries tended to look trivial. For this reason, some historians tend to overlook his work. 1948 Poul Heegaard (2 Nov 1871 in Copenhagen, Denmark - 7 Feb 1948 in Oslo, Norway) was a Danish mathematician who (with Max Dehn) was the first to classify compact surfaces. *SAU His 1898 thesis introduced a concept now called the Heegaard splitting of a 3-manifold. Heegaard's ideas allowed him to make a careful critique of work of Henri Poincaré. Poincaré had overlooked the possibility of the appearance of torsion in the homology groups of a space. He later co-authored, with Max Dehn, a foundational article on combinatorial topology, in the form of an encyclopedia entry. Heegaard studied mathematics at the University of Copenhagen, from 1889 to 1893 and following years of traveling, and teaching mathematics, he was appointed professor at University of Copenhagen in 1910.